LADAMA’s individual mastery as performers in traditions ranging from frevo and maracatu from Brazil, to joropo songs from Venezuela, to cumbia and gaita from Colombia, to soul music from the U.S.A., combined with their experience in border-crossing collaboration that began with the State Department-sponsored exchange and creative springboard of OneBeat (1beat.org), point to group’s high caliber and innovative hybrid approach. They offer an experience to American audiences that is unmatched by any national or international group. As educators and facilitators, the group draws from specific cultural contexts of the communities they serve to prove a foundation for participants to use music as a basic form of personal expression to address issues most pertinent to them. August 13, 2017 - 7:00pm FSN presents a new multigenerational seminar/research/work group on music and philosophy called Polymath Club. Participants meet for bi-monthly meetings and discussion, pairing composers with philosophers/writers, working together to produce a series of original texts and compositions. 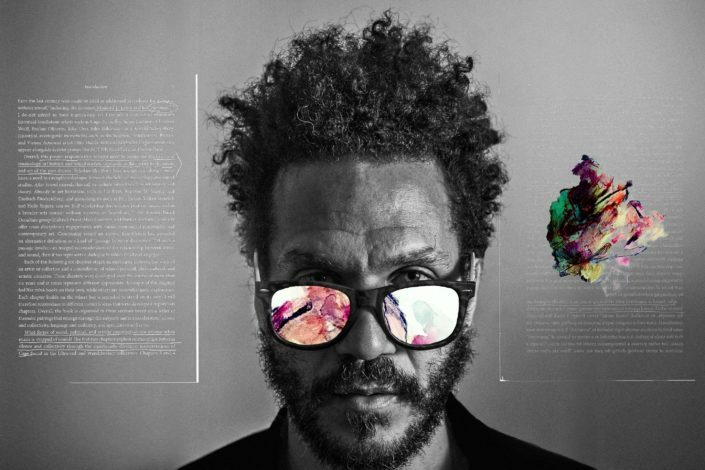 The group will premiere the new work at National Sawdust, along with new texts and scores and everything in between. People's Champs & BCAM's performance is the culmination of a two-week music, production & songwriting workshop. 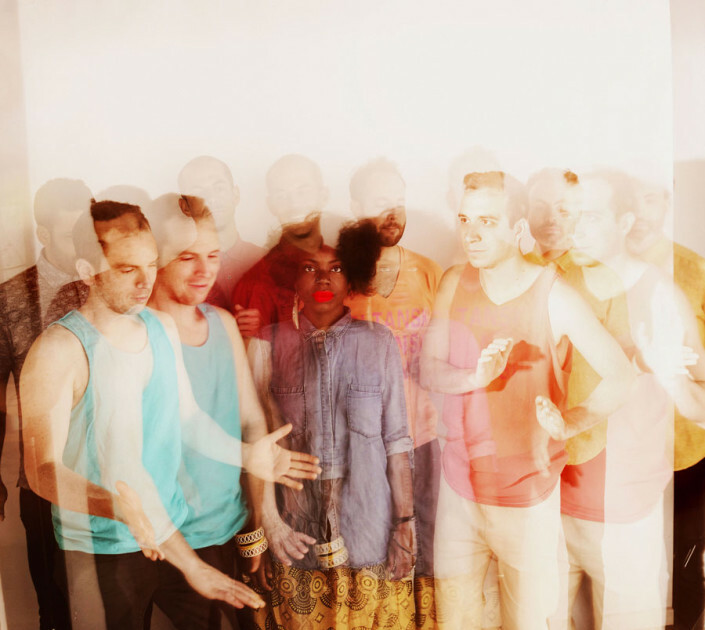 In this very special collaboration, students from Bedford Stuyvesant's BCAM High School will be led by experimental-dance-soul-funk collective People's Champs and trombonist / OneBeat exchange alum Alex Asher in the creation of new, original music. May 20, 2016 - 8:00pm LADAMA is an ensemble comprised of four incredible musicians from across the Americas who create and perform original music, and strive to inspire and engage women and youth in their respective communities to engage in music-making, sound design, composition, and audio production. The day begins with the exquisite puppet show for families, Birdheart (ages 6 years and up), by Julian Crouch and Saskia Lane. This is followed by experimental Australian violinist Jon Rose "Sonic Ball"--where he engages the public with a ten-foot-tall, interactive electronic musical instrument. Via sensors and radio transmission, the movements and speed of the ball determine the sonic results. 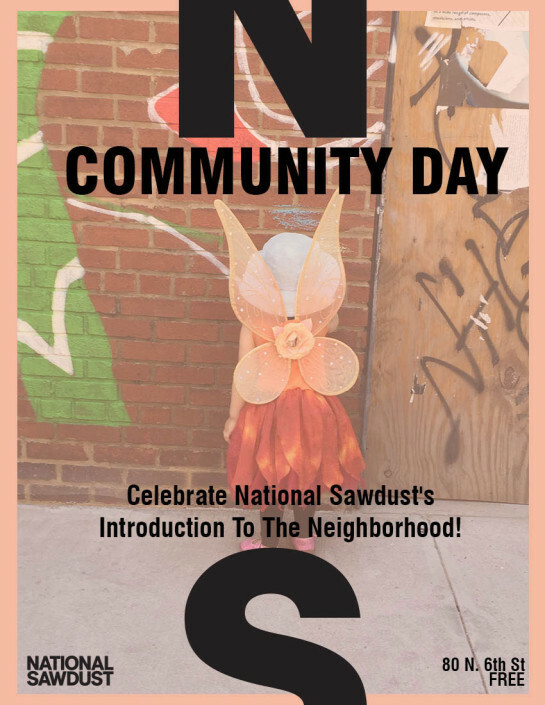 The National Sawdust Inaugural Parade will feature Julian Crouch’s large scale processional puppets with the Asphalt Orchestra for a neighborhood walk and celebration. 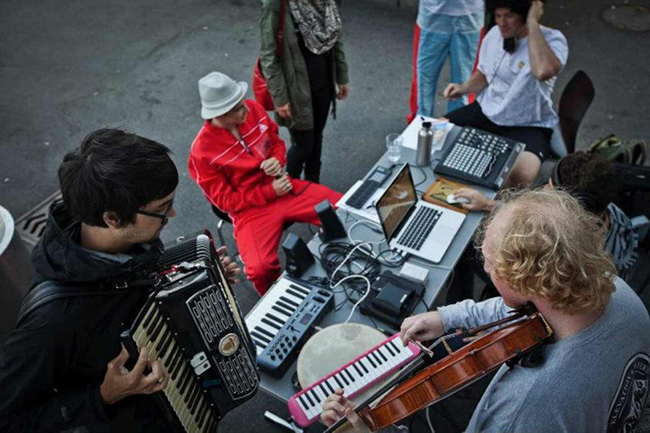 National Sawdust group-in-residence Found Sound Nation, a collective of musicians and artists who leverage the unique power of creative sound-making to help build strong, just, healthy communities, will hold mobile studios throughout the parade for the public. Harman Street Studios Afterparty, will showcase recordings crafted by teams of producers from 8 cities around the world. The evening will also feature additional music by Brooklyn's DJ Nappy G.
May 20, 2016 • 7:00pm LADAMA is a music ensemble comprised of five female multi-instrumentalists (guitarists, percussionists, singer/songwriters) from across the Americas who strive to engage youth and other women in their respective communities in the process of music-making, sound design, composition and audio production. 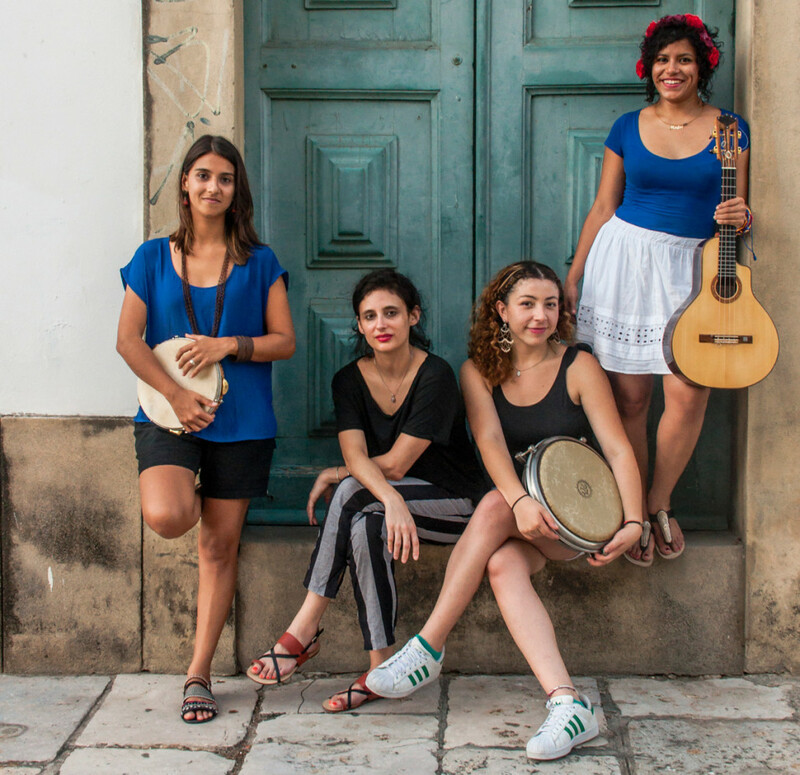 LADAMA aims to address gender inequality and unequal representation of women and encourage all to express their humanity by building community through music. 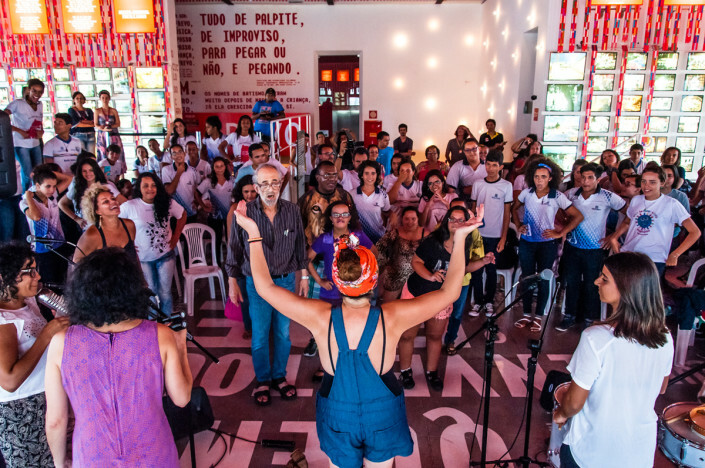 A week long residency in partnership with Found Sound Nation and National Sawdust, LaDama will work with young people and women from the El Puente Leaders for Peace and Justice and co-create a new performance piece for a live audience, in addition to leading a performance by LADAMA themselves.